The Irish movers and shakers of the film industry are off to Cannes to promote Ireland’s movie-making talents. MORE THAN 150 Irish filmmakers and industry professionals have travelled to Cannes this year with an aim to marketing and selling Irish film. The Cannes Film Festival is one of the world’s largest film markets and is a key destination for anyone in the industry who is looking for funding for independent movies. It’s also a great place for Irish people in the industry to make connections with international film financiers, sales agents and film distributors. The festival began yesterday and runs until May 26. Irish sci-fi movie, The Last Day on Mars, directed by Irish Academy Award nominee Ruairí Robinson, will have its world premiere in the prestigious Director’s Fortnight category. Other Irish movies that will be selling at the festival include Run and Jump, Life’s a Breeze, starring Pat Short and The Stag, starring Amy Hubberman, Hugh O’Connor and Andrew Scott. 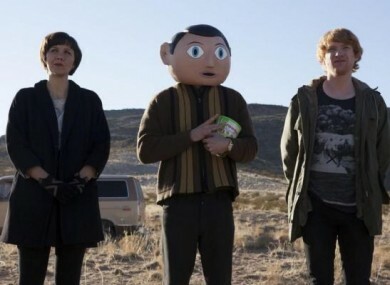 Lenny Abrahamson will not only be marketing his film, What Richard Did at the festival, but also his latest movie, Frank, which stars Domhnall Gleeson, Michael Fassbender and Maggie Gyllenhaal. Email “Over 20 Irish films screening and selling at Cannes Film Festival ”. Feedback on “Over 20 Irish films screening and selling at Cannes Film Festival ”.